Lucius Aurelius Verus Augustus was the co-emperor of Rome with his adoptive brother Marcus Aurelius from 161 until his own death in 169. Lucius Verus was the first-born son to Avidia Plautia and Lucius Aelius Caesar, the first adopted son and heir of Roman Emperor Hadrian. When his father died in early 138, Hadrian chose Antoninus Pius as his successor, on the condition that Verus and Hadrian’s great-nephew Marcus Aurelius be adopted by Antoninus as his sons and heirs. 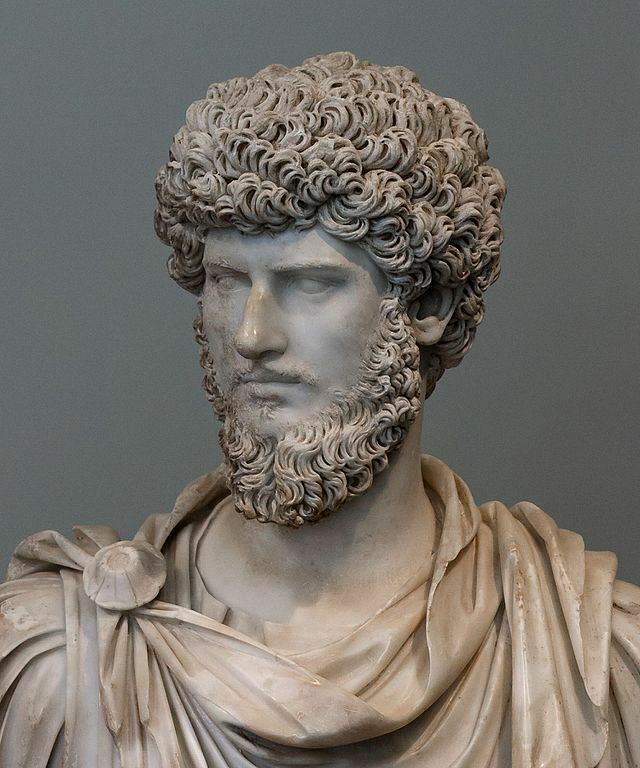 Lucius Verus married Lucilla - the daughter of his co-emperor Marcus Aurelius - and spent most of his time campaigning alongside Marcus Aurelius, until he died in 169 of either food poisoning or smallpox (the Antonine Plague).